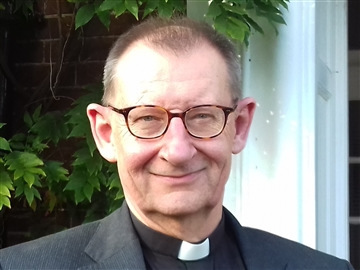 Downing Street announced on Wednesday 1st November that The Queen has approved the appointment of the Very Revd Chris Dalliston as Dean of Peterborough. “I feel deeply privileged to be asked to take on this role. Peterborough is a growing, dynamic city with a great future. At its heart stands this extraordinary Cathedral – without doubt one of the great buildings of England. There have been some difficult times recently, but there is here a team of people who are determined to rebuild confidence and a growing congregation that is excited about what the future can bring. There is also a wider community who long to see this place, on the threshold of its 900th anniversary, not just as a powerful symbol of Peterborough’s illustrious past, but as an active participant in helping to shape its future. “For fourteen years, Chris has served both the Cathedral and the people of Newcastle superbly. His vision has been to establish the Cathedral’s place at the heart of city centre life, with a care for the most vulnerable and with close links to city institutions and businesses, as well as other churches and faiths. He is responsible for many improvements to the Cathedral and most recently has been leading our bid for Heritage Lottery funding to secure the Cathedral’s future as an inspirational place to visit and worship. Chris will be installed as Dean of Peterborough on Saturday 20th January 2018, at the 3.30pm service of Evensong. Chris (61) was born in 1956 and brought up at Diss in Norfolk. He studied Modern History at Peterhouse, Cambridge, then worked for the Ford Motor Company from 1978 to 1981 before entering St Stephen’s House, Oxford to study theology and train for ordination. 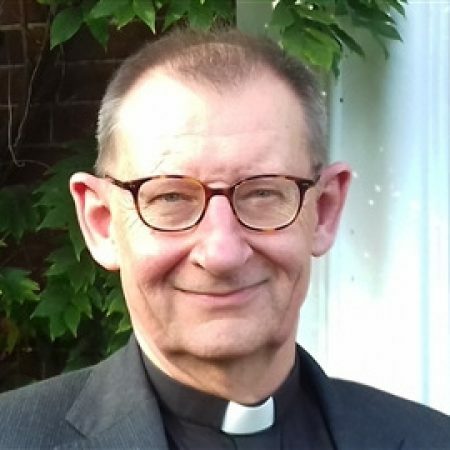 He was ordained Deacon in 1984 and Priest in 1985, and served his curacy at St Andrew with Holy Trinity, Halstead, Essex. From 1987 to 1991 he was Chaplain to the Bishop of Chelmsford, and from 1991 to 1995 Vicar of St Edmund’s Church at Forest Gate in London. Chris moved to Lincolnshire to become Priest in Charge then Vicar of St Botolph’s Church, Boston from 1995-2003. He was also Area Dean of Holland East from 1997 to 2003. In 2003 he became Dean of Newcastle. Chris is married to Michelle and has four adult children, Alex, Tom, Georgie, and Bella. Michelle is also ordained and currently serves as Team Rector in north Newcastle, where she will continue for the time being. Chris lists poetry and music (especially jazz, folk and opera) among his interests. He and Michelle love Italy and all things Italian. He is a keen follower of Formula 1 and a (very) long suffering supporter of Norwich City FC.